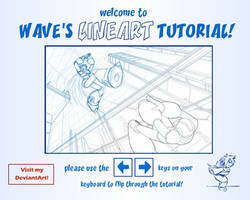 These are art programs for which the Hospital has collected a respectable amount of tutorial links. 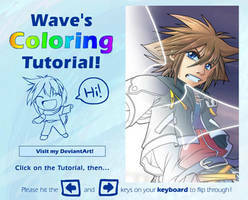 -These art programs do not yet have their own tutorial sections. Either few tutorials exist, or the Hospital has not yet collected enough tutorials to warrant a new section. -Our mission is to provide easy access to high quality open source alternatives to well-known commercial products. And remember that open source software is also a freeware alternative. Krita is a great art program too! Hey guys I need some help here, I'm trying to find an easy to use free drawing program. I will be doing drawings and such on the program and *not* photo editing. I've tried to use gimp, but it is far too complicated for me... and on the other hand programs like windows paint are children's programs. The art I wish to do is very simple, such as My Little Pony art and similar art. So long story short I need a free, simple to use, and virus free drawing program. I really would appreciate the help thanks!! Thanks, I faved Corel, Gimp, and Pain.NET on the spot. People make all kinds of tutorials out there but finding good ones are a challenge and this cuts down the time by loads. Plus, they are all in one place. Again, thank you very much. Hmm Sketchbook Pro? 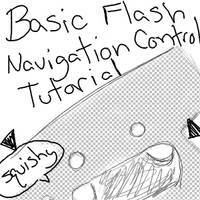 Though I myself can't really find tutorials for it. Hey I don't see you have pixlr, which is an awesome free online program. I found this through sai too. MyPaint is a relatively new program for digital painting and I totally love it. Pretty lightweight, fast and has tons of different brushes integrated. oops, meant to post this to your list of programs. Omg, this is perfect for what I've been needing...I've been planning on getting a tablet, but I've been having some trouble figuring out what programs...You are my lifesaver! thank you for these links! they are very helpful. You're very welcome. Thank you for commenting. Feedback like this keeps us going. is there any similar software to SAI? For something free, you could try ArtWeaver, Pixia, or Paint.NET (all listed on this index). Great resource, thanks! I will add it to my list of Graphic Software Tutorials (coming soon... via Journal). Ooh! When you get that list together, note me and I will link it. Ok, will do - that would be great, thanks! Splitting the art programs off from the main index, since there's getting to be a lot of them.